The democracy of Luxury: a Private Guide! 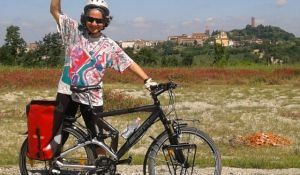 Customized Day Guided Tour of Siena & San Gimignano. 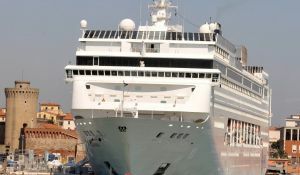 Customized Tours for Cruise Travallers from Port to Florence, Pisa, Chianti etc. To be professional tour guides in Tuscany is to have a deep knowledge and passion for art and culture. It also requires a great ability to eagerly communicate the vastness of our historical and cultural heritage that will enrich your travelling experience. A tour guide, as a local, officialy represents his city and its region. He has an intimate relation with the places you visit and wishes to share this feeling with you. 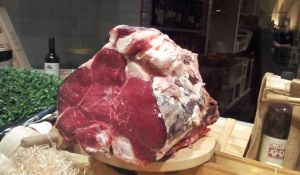 This is what we do at Toscana Insieme (Tuscany Together). Our guides, all born in Tuscany and graduates of its most prestigious universities of Florence, Siena and Pisa, will provide you with their knowledge and assist you so you can enjoy every moment of your stay. You will feel at home, while experiencing novelty with Professional Guides. A feeling that there is always something new to be discovered. You are in good hands visiting Tuscany together with us, we hope you get the feel of what it is like to be Tuscan like us! Florence, guided tours to discover the Renaissance, Michelangelo, Da Vinci and Botticelli, the Cathedral and the Dome, Ponte Vecchio and the Arno, arts and crafts, food and wine. 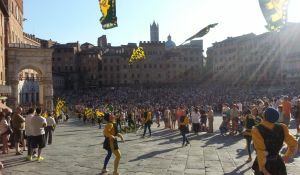 Siena, rent a guide for the Palio Horserace, the Campo and the Cathedral, the hilltop towns, like San Gimignano, Montalcino, Montalcino and their wines, Pienza and medieval castles. Pisa, your guides will show you the Leaning tower and the Miracles Square, Galileo and the marble Cathedral. Volterra and the Etruscans and the hilly valleys of Era and Cecina. 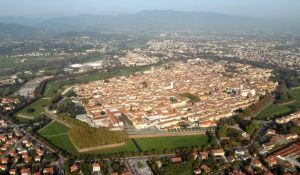 Lucca, guided tours to see the City Walls, the Puccini birth place, the Romanesque Churches and Ilaria del Carretto Tomb. The Apuan Alps, the quarries of Versialia and castles of Garfagnana. 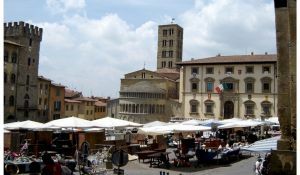 Arezzo and Cortona, get one of our tour guides in the places of famous movies (Under the Tuscan Sun, Life is Beautifull), Piero della Francesca and the mystic hermitages Verna and Camaldoli. 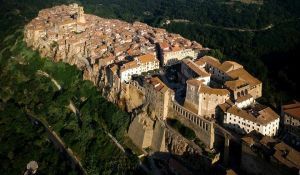 Maremma, guides of Tuscany for enjoyng Sun and See, Argentario and Massa Marittima places of wildeness and history, the Etruscan Towns of tuffa Pitigliano, Sovana, Sorano. Pistoia and Prato, you need a guide to discover medieval cities of interest, industious centers, places of art and food, flowers and gardens, with the famous spas of Montecatini and Monsummano. Tuscany, land of castle and wineries, villas and gardens, hilltop towns and hot springs, mountains and beaches, perfect for foodies and for having fun with colture and history.